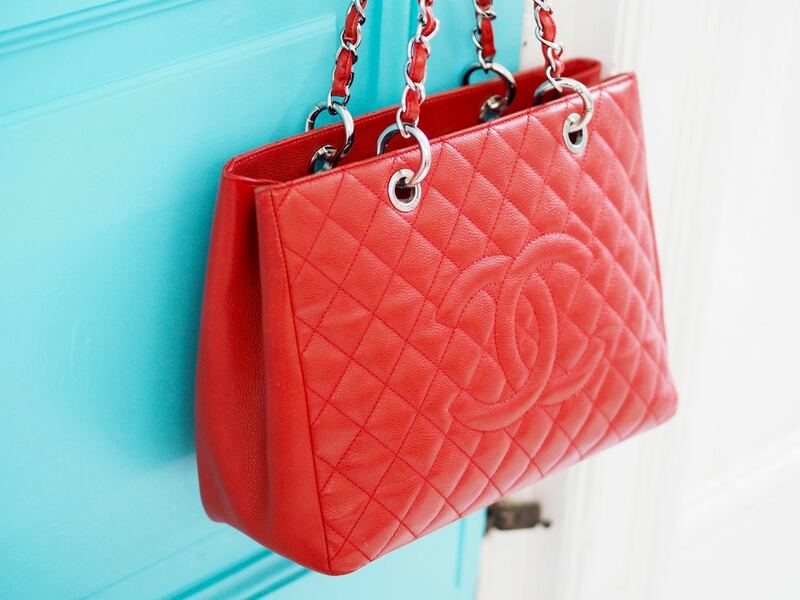 Chanel Patent Leather Handbags: Things You Should Know - Fashion For Lunch. 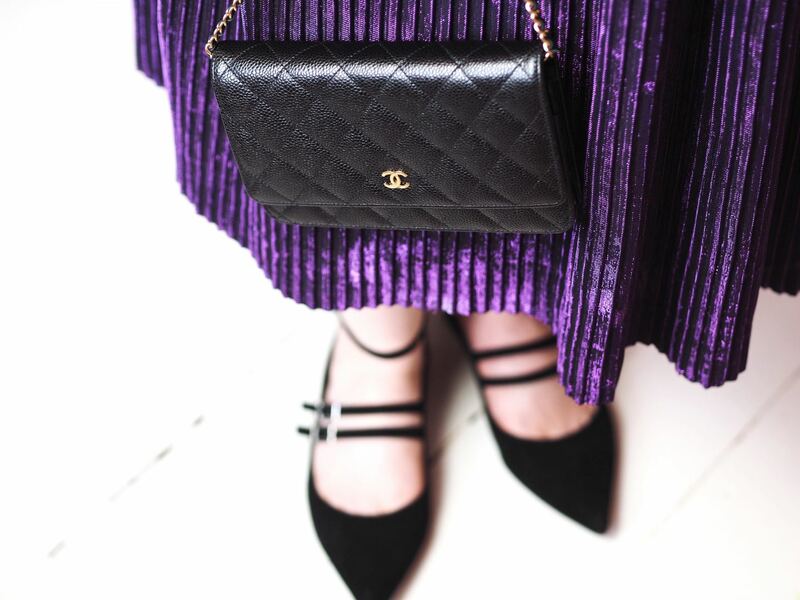 I have chatted about the advantages and disadvantages of the chanel Lambskin and Caviar leather handbags in the past, but I haven’t ever touched on the patent style bags and quite frankly, I thought it was about time! 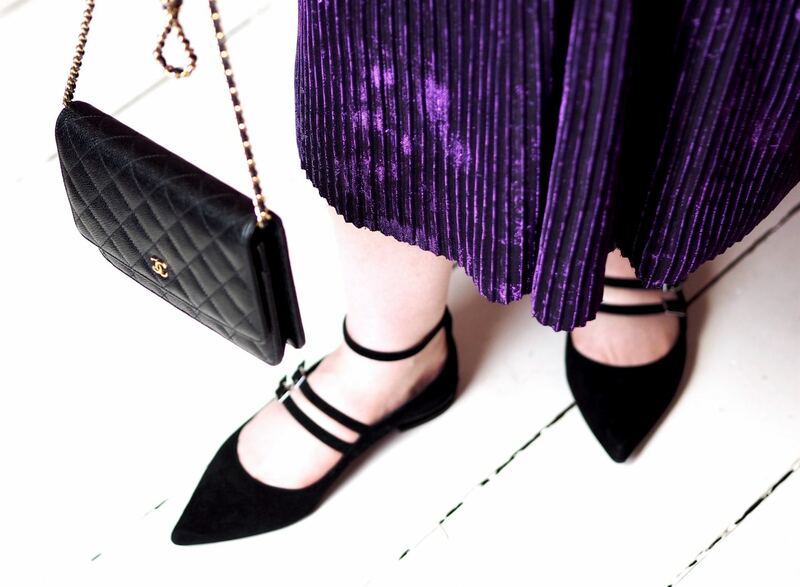 Shall we deep dive into the world of Chanel Patent Leather Handbags? Whilst patent leather is pretty good for wiping-clean and far more hardwearing and resilient than lambskin leather, it isn’t immune to stains and marks. 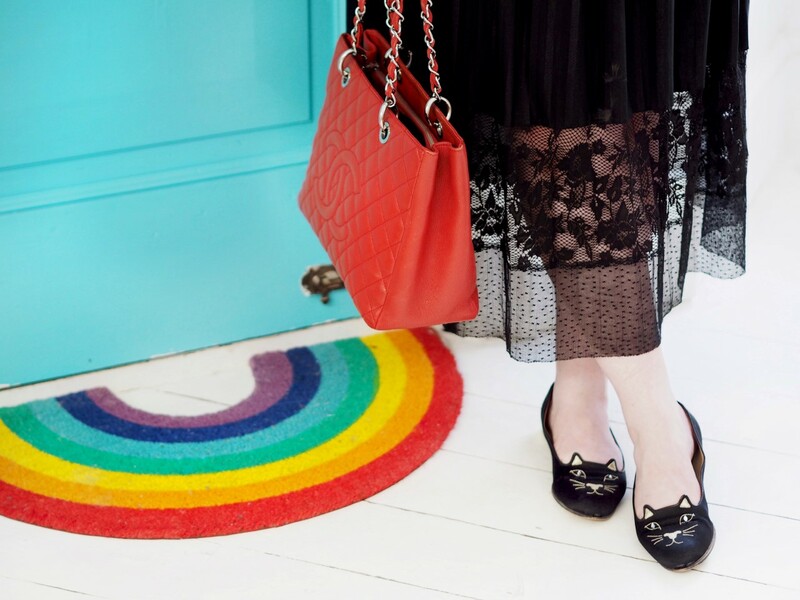 You can still get colour transfer on a patent bag, as the patent leather isn’t completely non-porus, similarly if you get biro, wine, whatever on it, it can leave a mark. I will fully admit the lambskin Chanel handbags are delicate and might not be for everyone (including myself, I’ve got a hefty amount of colour transfer on my green Chanel classic flap bag) and whilst the patent leather is more hardwearing, it’s not bomb proof. Before I get started on this one, I personally don’t think Instagram is a good reason to make a major purchase or a life changing decision, be it a dog, house, furniture or a designer handbag… sure if you want to buy a mug because you think it will be cute in your desk snaps, go for it! Similarly, if you want to find an excuse to buy yet another cushion, why not! But if you are buying a £3,000 Chanel handbag because you wanna swing it around in your boomerangs, then this is NOT the one! Because the patent leather is shiny, it will be a nightmare to take photos of; it will reflect all the sunlight and reflect off all the quilted sections. I’m sure with a bit of flash photography it would be super cool in a hipster way, but if you are going for pretty pastels ‘insta-goals’ in soft sunlight, this is not the bag for you! Often forgotten, but worth mentioning, just like shoes can crease the leather when you walk, so can handbags. Mainly where you open and close the flap, you can see in some of the vintage patent leather Chanel bags, there is a little creasing where the bag has been opened and closed over the years. This kind of wear can happen to all leather bags, but because of the reflective nature of the patent leather, it might be more obvious with this finish. However, please don’t worry about this too much, unlike shoes, the creasing will only be apparent after years of use. Personally, I don’t think a patent leather Chanel handbag holds it’s value quite like a lambskin or caviar leather bag does. Of course, fashions change and you never know, it might be the must-have finish in two years time, but let’s be honest, a classic lambskin or carver handbag will always retain it’s value over a patent bag. On the flip-side though, if you are looking to buy a Chanel handbag on the Pre-loved market, you might well get a patent beauty for a lot less than the lambskin or caviar equivalent. So if patent Chanels are you thing and you are an heiress who doesn’t need to ever worry about price tags or resale value, then buying a preloved patent might be a far wiser option than buying one new! In general, the Chanel don’t make many patent leather handbags, so if you do fancy bagging yourself one, you can feel pretty good about the fact that yours will undoubtably be kinda rare and you won’t walk into a room a see oodles of women all carrying the same bag as you! Nor will you have to check that your Chanel-loving BFF will be wearing the same bag as you to brunch. So to re-cap, the Chanel Patent leather handbags are pretty hardwearing, but despite the treatment of the leather, they can still stain and mark, just not as easily as the lambskin or fabric bags. 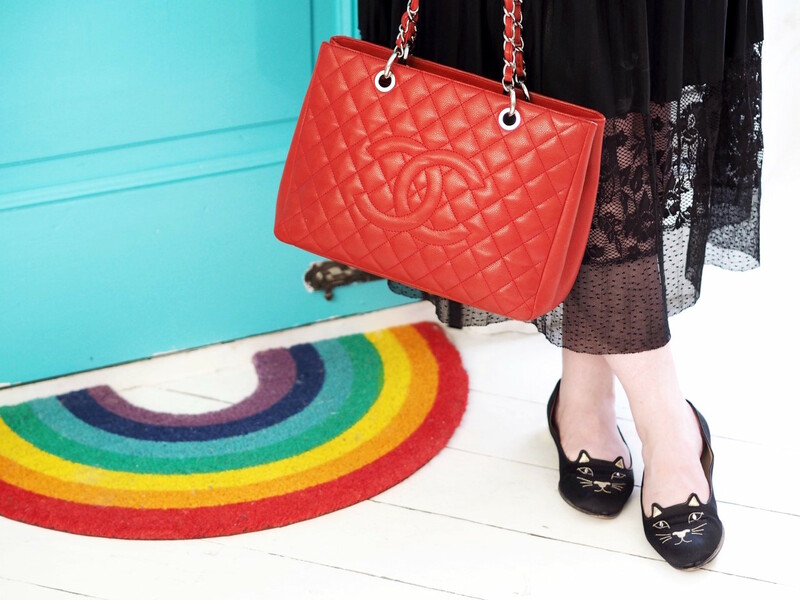 They can be a nightmare to photograph (FYI, none of the bags in the images are above are patent leather, they are both caviar leather) so if you are a blogger or instagrammer looking to invest in a Chanel bag, this is not the one. Finally, they don’t retain their value as much as a lambskin or caviar handbag, so I would ALWAYS suggest buying a patent leather Chanel handbag on the pre-loved market, rather than brand new. Unless money isn’t an issue for you, then go wild. Finally, I would say even though the patent leather Chanel bags aren’t my personal style, nor are they universally the most popular finish, I would say that they can look BADASS and super cool if they are your style! I have seen some super slick badass girls wear patent leather Chanels and they look amazing. They can look great with paired back minimalist Nordic style clothing, or with ripped jeans, rockstud shoes and a leather jacket. And if that’s your look, go for it and enjoy that fabulous sheen! PS. You can usually get 10% off your first order with Vestiere Collective when you sign up (current code is ‘UK10618’), so it’s well worth making yourself an account!